Today was the day we had our big collection for the children’s winter clothing packs for Lebanon. We expected a lot of donations, so arrived an hour early to get set up and organized. However, so did half the donations! And they kept on coming, thick and fast. With no time to get organized, the donations were piled up all over the place, leaving no room to sort through everything. It was chaos! But it was beautiful chaos. We had a small army of volunteers working tirelessly to make sense of it all. 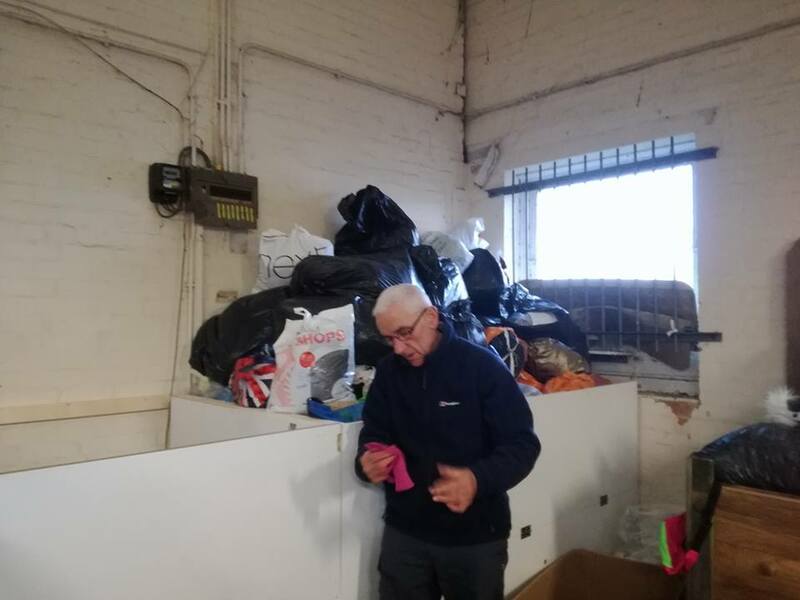 The council’s donated old wheelie bins came in useful as we labeled each one with an age group and filled them with children’s clothes, ready to be made into winter clothing packs. Our newly built shelving unit held all of our sorted and boxed baby and toddler clothes, ready for making into packs. The huge storage boxes made out of my old kitchen were used to store all the made-up packs. We had a great team rummaging around the warehouse finding all the bits needed to finish the incomplete packs that came in, doubling the amount of completed packs we had by the end of the afternoon. Bob’s camper full of 100 packs from Wirksworth and Belper including Bonsall Primary and Anthony Gell School. And too many cars to count of individuals who have made up packs on their own, with friends, at their church or local school. We were all a bit overwhelmed with it all, but somehow managed to squeeze every last thing into our warehouse. Some of it sorted into packs, some sorted into size and some just jumbled up and piled in. The warehouse is bursting at the seams! But we’ve been here before and we’ll get through it all. 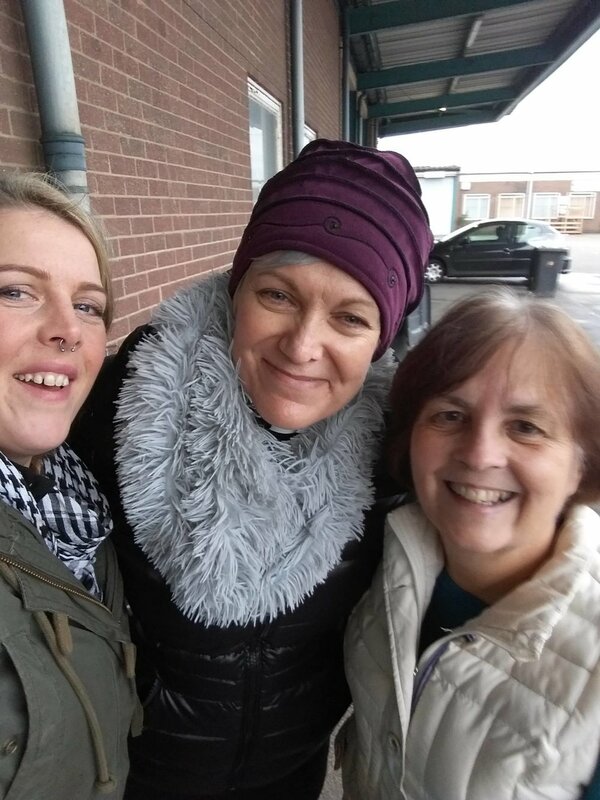 There is a container going to Syria from Muslims in Need next Friday and we’ll get a load of stuff on that – men’s and women’s clothes, bedding, toiletries, food. There are 2 trips to Calais planned over the next 2 weeks, with 3 van loads of men’s coats, boots, winter clothes, tents and sleeping bags being taken to Care 4 Calais where it will be distributed to refugees in the area and to those sleeping rough in Paris. 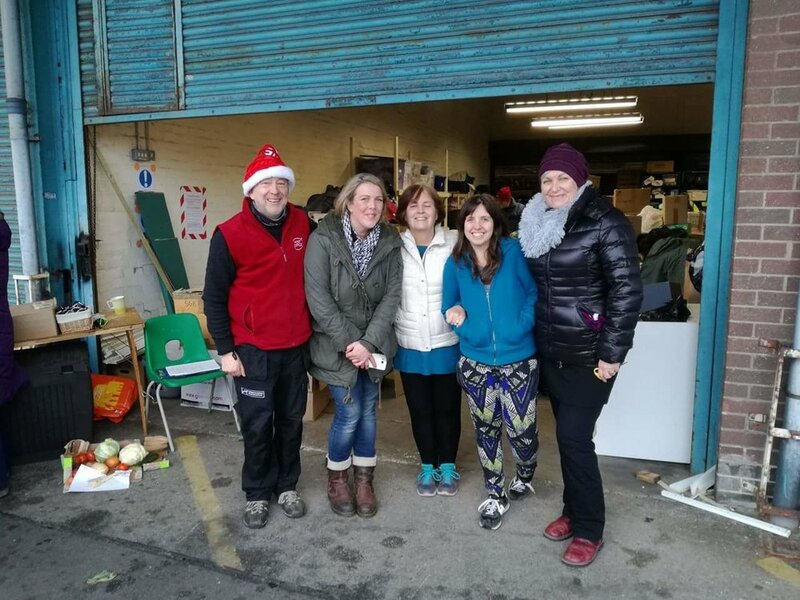 We have 2 big sort days planned for this week – Tuesday and Thursday – where our usual trusty volunteers, and hopefully some fresh new faces, will come and spend time sorting through everything and making sure it all gets to where it needs to be, and carry on ploughing through the children’s clothes and making up more winter clothing packs. And the thing that makes it all so amazing is that we’re not a major charity, or government or official body. We’re all just ordinary people, doing what we can to help. Making a difference to the lives of so many who have fled their homes due to conflict and danger. Having a bit of a laugh and a giggle along the way, meeting new friends and sharing a sense of purpose. That’s what it’s all about.